If you notice something missing from the screen while helping Fury stop the Seven Deadly Sins, don’t be alarmed. Gunfire Games has decided to remove the mini-map from Darksiders III, wanting players to focus more on exploration rather than objectives. Both Darksiders and Darksiders II used mini-maps to guide the player through the environment. Senior Designer Richard Vorodi remarked on this at a presentation during gamescom 2018. “We didn’t think players like them,” he explained bluntly. “We want players to get lost.” Don’t fret about not knowing where to go next. There will be a tree in the center of the map that can be used as a reference point. So, while you may not know your exact orientation, you can use that to ensure you don’t get completely lost. Although, the team at Gunfire Games probably wouldn’t be upset if you did. The world of Darksiders III is meant to be explored, and that is part of what fueled this decision. Darksiders III is full of secrets, and the studio wants players to discover them naturally. This falls in line with statements Gunfire Games has made in the past, noting gameplay is more important than story. In addition, Vorodi commented briefly on the future of the series, saying something that fans have long guessed. “The plan was always four,” he said referring to the four horsemen of the apocalypse that lead each of the games. We’ve already had a game based around War and another focused on Death. 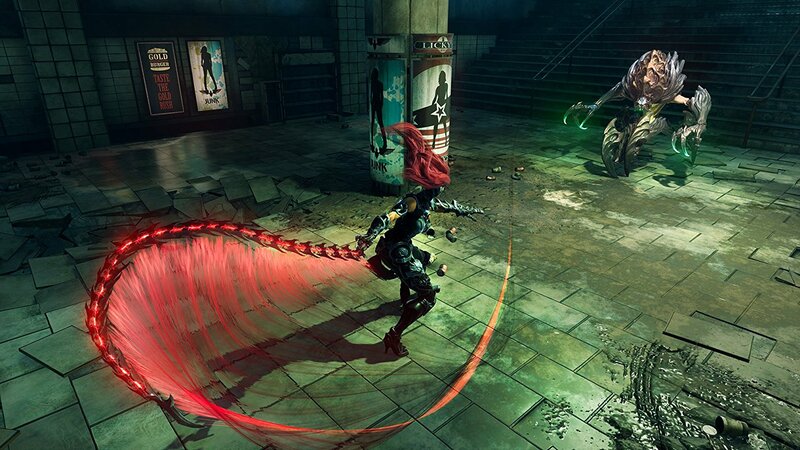 Darksiders III will feature Fury, a replacement for the usual Famine. This only leaves Pestilence—or in Darksiders canon, Strife—as the final horseman that could take the stage for a hypothetical Darksiders 4. Players will be able to uncover all the secrets of Darksiders III when it releases on November 27, 2018 for the PlayStation 4, Xbox One, and PC.